14 February 2019 (Toronto, ON) - On February 7, 2017, Rock and Roll Hall of Famers Journey proved their status as one of rock’s best live bands when they brought their landmark albums Escape (just in time for its 35th anniversary) and Frontiers to the legendary Budokan stage in Japan. 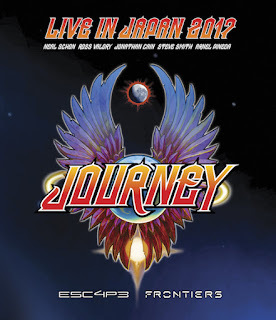 Eagle Rock Entertainment/Universal Music Canada, the country’s leading music company, proudly presents this concert when Journey – Live In Japan 2017: Escape + Frontiers is released on DVD, Blu-ray, DVD+2CD and Blu-ray+2CD on March 29. Pre-order is available now HERE. A triumphant evening of music, Journey presented songs from 1981’s Escape and 1983’s Frontiers. These albums produced eight Top 40 singles combined, have sold nearly 20 million copies worldwide, and cemented the San Francisco band’s music in the cultural zeitgeist. 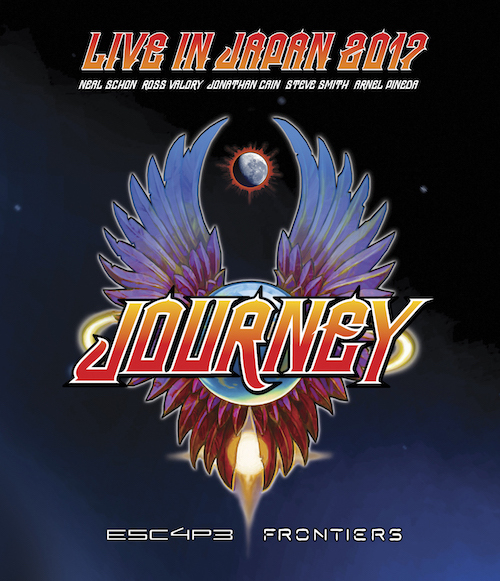 A fantastic representation of the band’s legacy, Live In Japan 2017: Escape + Frontiers showcases the enduring impact of Journey and these songs.